How do Functional Medicine and Therapeutic Nutrition work? Functional Medicine modulates DNA through Epigenetics. Epigenetics include diet, lifestyle and environmental factors, including nutritional supplements. Therapeutic nutrition is based in a system of energetic testing called Biokinesiology (BK). BK is a highly sensitive system of muscle testing, used to test and balance the organs of the physical body, determine individual nutritional needs, discover and correct allergies, and determine the emotional causes of physical illness. BK works successfully with many health problems, including: chronic fatigue, digestive problems, skin problems, allergies, depression, high stress lifestyle, weakened immune system, hypoglycemia, hormone imbalance, PMS, esophageal reflux, high cholesterol, nervous tension, and adult onset diabetes. BK can test hundreds of nutritional supplements: vitamins, herbs (western and Chinese) homeopathic and vibrational remedies, all in the course of one session. It is highly useful in determining the BEST nutritional support for you as an individual. Many health imbalances are the result of food sensitivities, which BK testing can help to determine and correct. This method of testing is fast, accurate, and non-invasive. Food sensitivities can arise from digestive or immune system disorders, which can result from toxicity and stress. BK can also help determine if you are sensitive to your skin care products or other environmental factors. Strengthening your immune system can help to alleviate many of these imbalances. What does Dr. Ryan do? 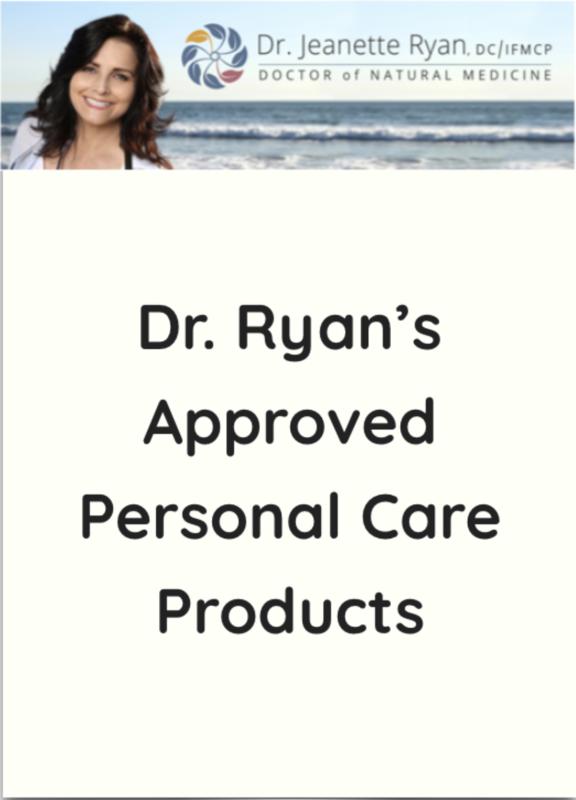 Dr. Ryan is constantly updating her knowledge base by continually reviewing the latest research and clinical studies in the fields of Functional Medicine and Nutritional Medicine Then using her 31 years of experience combined with her gift as a medical intuitive, she synthesizes a customized healing plan for each individual. Your healing program will include clear and customized recommendations for diet, lifestyle and therapeutic nutrition. What can I expect during my first Functional Medicine consultation? You’ll feel comfortable in Dr. Ryan’s peaceful work environment as she conducts an in-depth interview of your health history, a review of your lab results, and an examination using a light touch and reflex analysis. It’s so gentle and non-invasive that it works great for children. Dr. Ryan will evaluate each system of your body and identify any imbalances. By the end of the visit, you’ll have a customized protocol sheet with recommendations for nutritional supplements and dietary and lifestyle changes. Most patients return for a follow-up visit in a couple weeks. Click here to see a sample protocol sheet. 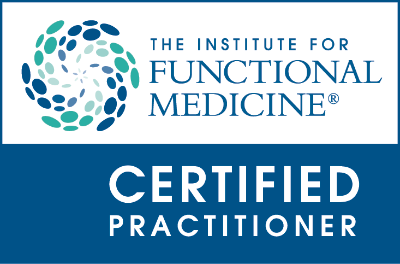 What can I expect to experience once I start my Functional Medicine program? Every person’s healing process is unique. Some people immediately feel more energy and improved clarity. It is not uncommon to feel the need for more sleep. The reason this occurs is due to the profound and gentle action of your custom Functional Med program working together with your body’s healing ability. Healing and detoxification take energy. It is wise to give yourself more rest while the healing is happening. Recognizing these changes as positive greatly facilitates the process. Can you recommend a simple method for me to prepare my supplements? Yes. Since you will take your supplements during meals, it is necessary to have them with you when you eat. We recommend that you have small containers, like the vitamin organizer or the snack size ziplock baggies. Preparing your nutrition once a week saves time and makes it easier to be consistent. Use 14 or 21 containers, line them up in two or three rows: one row for breakfast, one for lunch, and one for dinner/bed. Distribute the supplements accordingly. Take them with you, especially for lunch, since most people are not home for lunch. A second choice would be to prepare your supplements daily, but you will probably find it tiresome before your body has a chance to heal. You must find a system that works for you, and fits your way of doing things. Is there any quick and easy way for me to swallow these supplements? Yes, we have two suggestions. One way is to “hide” the vitamin inside a bite (bolus) of food. When you’ve finished chewing up a bite of food, and you’re ready to swallow it, simply place the vitamin in the middle of the bolus and then swallow in the usual way. If you prefer taking supplements with a liquid, then we recommend that after you put the supplements in your mouth, coat them with saliva before washing them down with water. This lubricates them, just like chewing a bolus of food lubricates it. Never take your supplements on an empty stomach unless otherwise indicated, and try to avoid taking them at the end of the meal unless otherwise indicated. Spacing the vitamins during your meal allows for better assimilation. What should I do if I miss my supplements for a meal? If you miss taking your supplements at one meal, do not double them at the next meal. Simply take the next meal as planned, and skip the ones you missed.